LYNCHBURG, Va. (AP) — An evacuation order that covered about 150 homes in Lynchburg has been lifted after workers opened a sluice at a nearby dam to reduce water levels. 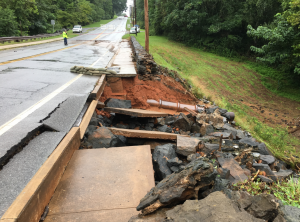 Officials in Lynchburg lifted the evacuation order Saturday afternoon. It had been in place since Thursday.Earlier Saturday, water resources workers opened a sluice at College Lake Dam to lower reservoir levels so officials can make repairs to the dam. The dam overflowed Thursday, prompting evacuation of about 150 homes in the city of 80,000. City officials said Friday that the dam is stable despite the damage it sustained.